There are hundreds of people in our community who volunteer to improve our local environment. They often organize around a particular part of nature or natural life. It might be helping to restore a stream so salmon can once again use it to spawn, or to protect a forest stand that holds endangered wildlife and trees that are hundreds of years old. 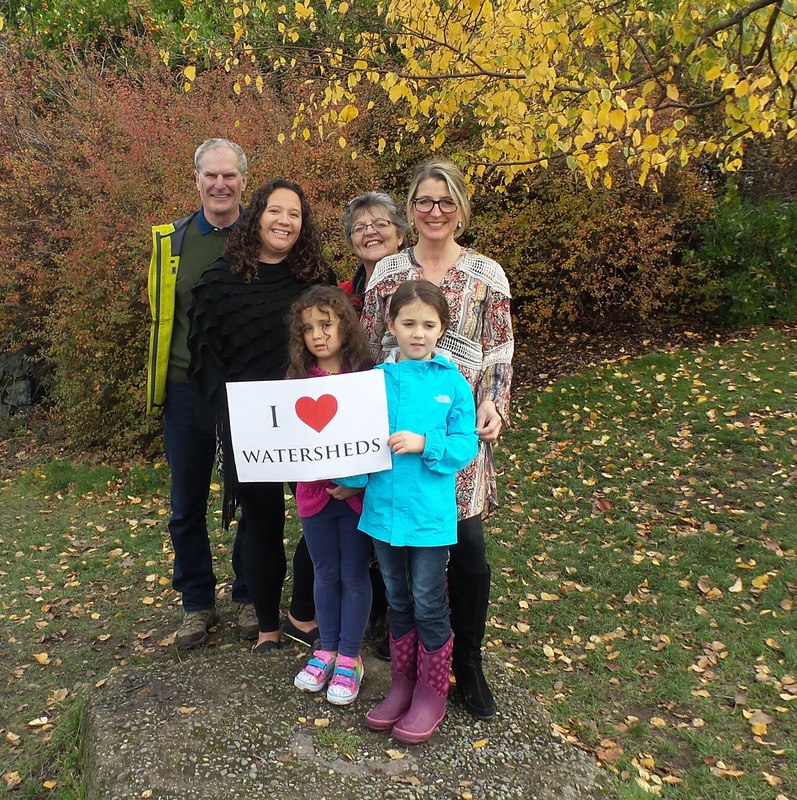 There are literally dozens of streams, rivers, bogs, wetlands, lakes and other natural places in Saanich that are cared for by our volunteering friends and neighbours. It makes sense to focus in on specific parts of an ecosystem, it helps to set priorities and makes goals more achievable. But it also means that all these different individuals, societies, associations, volunteer groups and charities can feel separated or disconnected from each other. 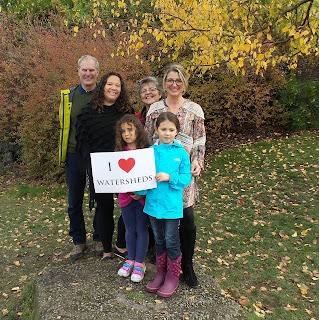 To strengthen our interconnectedness and celebrate all the volunteers who work to restore and protect our precious watersheds, I am very pleased to invite you to a dinner and family-friendly event: I ❤ Watersheds! It will take place on Saturday November 26th at the Cordova Bay United Church, from 5:30-9:00pm. A celebratory certificate presentation for watershed volunteer community leaders. A “watershed” is a good way to think about our interconnectedness. Watersheds are physical spaces that hold, filter and move rainfall. They include streams, rivers, lakes, bogs and inlets. There are two watersheds that cover almost all of the Constituency of Saanich South, named after the Colquitz River and Tod Creek. Watersheds are all around us and essential to our health and well-being even if we sometimes take them for granted. Watersheds are often called “arteries of the land,” that is how important they are! Watersheds filter water so we can drink it; they recharge reservoirs and aquifers and are critical to our local farmers, they give life and nourishment to countless species of fish, birds, invertebrates and mammals; they hold together larger ecosystems and clean and refresh the water, soil and air that we and all beings require to survive and thrive. When appreciating the importance of sustainable watersheds in our communities, we must begin by acknowledging the great debt we owe to the Coast Salish people. They preserved the richness of the environment we live in today for thousands of years before colonization in the 19th century. There are five original First Nations of W̱SÁNEĆ (anglicized as “Saanich”): the Tsawout, Tsartlip, Tseycum, Malahat and Pauquachin Nations. As we work to restore watersheds from the impact of settlement and industrialization, we can look to the history and knowledge of the Saanich and Coast Salish peoples for insights and direction. The event is sponsored by my Constituency Office as well as the Peninsula Streams Society, Friends of Maltby Lake Watershed Society and the Cordova Bay United Church. With special thanks to the Capital Regional District and the District of Saanich. Tickets are only $10 (and that includes dinner). Seating is limited: tickets can be picked-up Mon-Thurs, 9:30am-2:00pm at the Constituency Office, 4085 Quadra St. For more information call my office at 250 479 4154 or visit www.saanichsouth.ca. You are invited - Saturday Nov. 26!